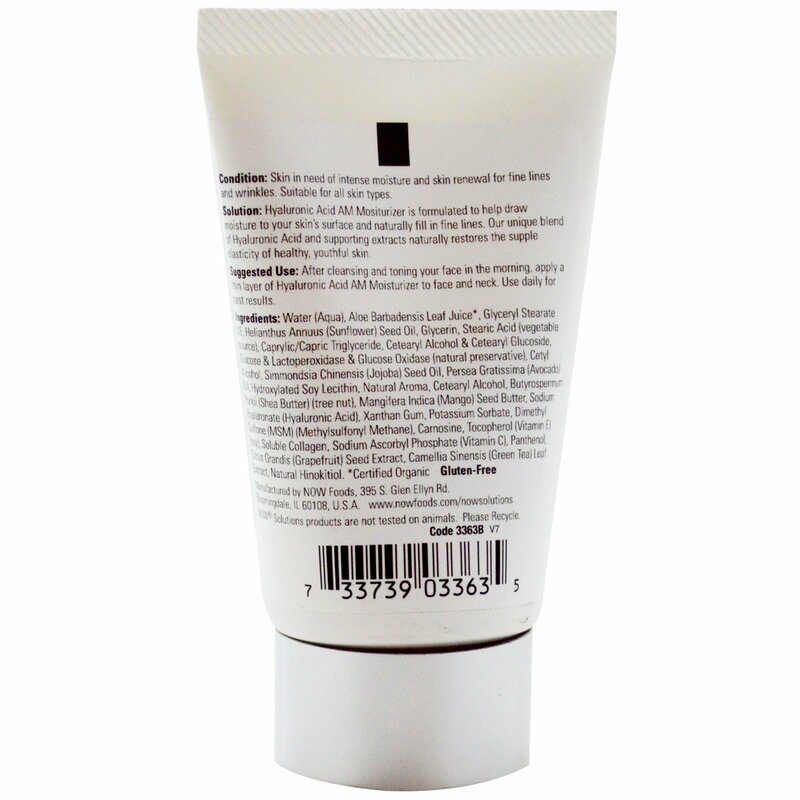 Condition: Skin in need of intense moisture and skin renewal for fine lines and wrinkles. Suitable for all skin types. 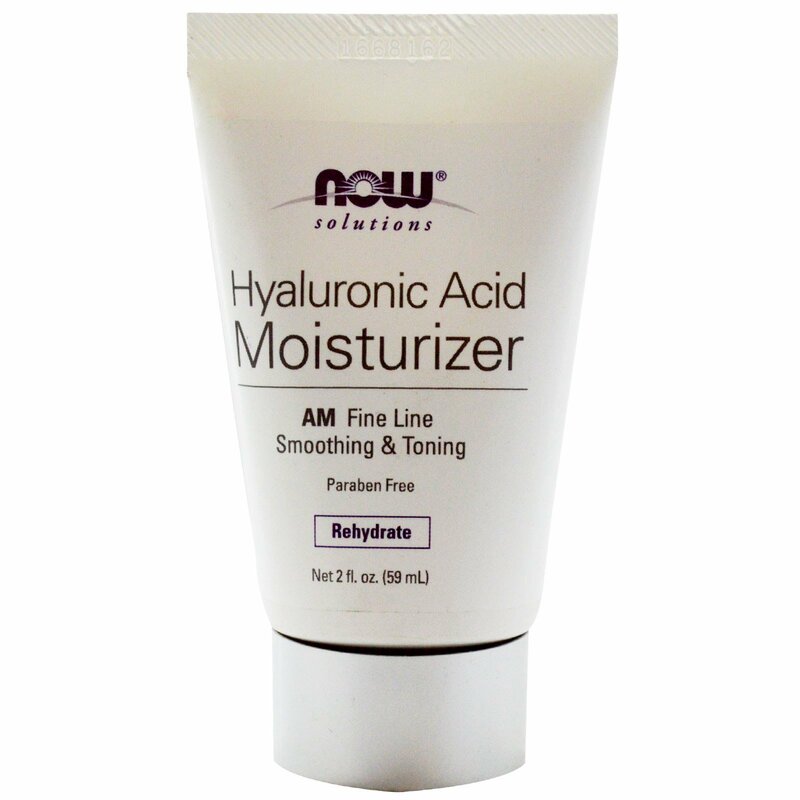 Solution: Hyaluronic Acid AM Moisturizer is formulated to help draw moisture to your skin's surface and naturally fill in fine lines. Our unique blend of Hyaluronic Acid and supporting extracts naturally restores the supple elasticity of healthy, youthful skin. After cleansing and toning your face in the morning, apply a thin layer of Hyaluronic Acid AM Moisturizer to face and neck. Use daily for best results. Water (aqua), aloe barbadensis leaf juice*, glyceryl stearate SE, helianthus annuus (sunflower) seed oil, glycerin, stearic acid (vegetable source), caprylic/capric triglyceride, cetearyl alcohol & cetearyl glucoside, glucose & lactoperoxidase & glucose oxidase (natural preservative), cetyl alcohol, simmondsia chinensis (jojoba) seed oil, persea gratissima (avocado) oil, hydroxylated soy lecithin, natural aroma, cetearyl alcohol, butyrospemum parkii (shea butter) (tree nut), mangifera indica (mango) seed butter, sodium hyaluronate (hyaluronic acid), xanthan gum, potassium sorbate, dimethyl sulfone (MSM) (methylsulfonyl methane), carnosine, tocopherol (vitamin E) (soy), soluble collagen, sodium ascorbyl phosphate (vitamin C), panthenol, citrus grandis (grapefruit) seed extract, camellia sinensis (green tea) leaf extract, natural hinokitiol.